Following in the footsteps of Starbucks, where four-legged customers can receive an off-the-menu “puppuccino” and Dairy Queen where furry friends are treated to the “Pup Cup,” Burger King is getting in on the pet-friendly menu item trend. 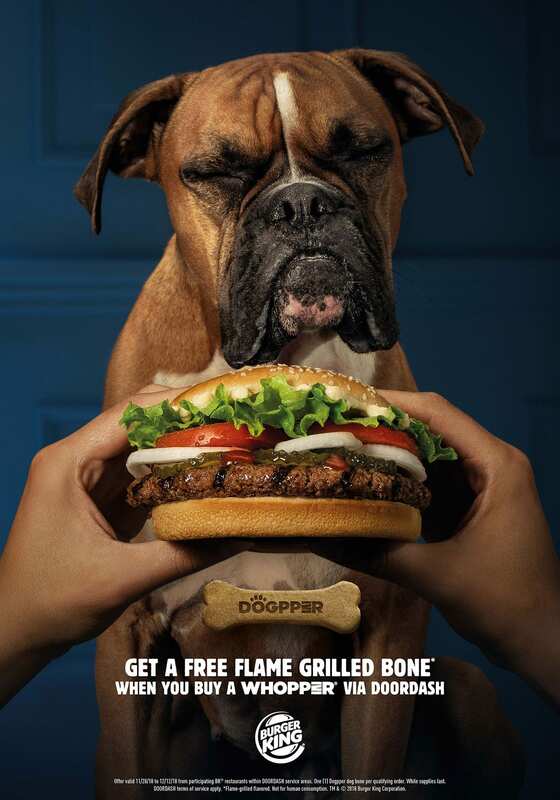 The fast-food chain recently launched the “Dogpper,” a flame-broiled Whopper-flavored treat just for dogs. Now, canines don’t need to stare longingly at their owners chowing down on Burger King takeout. With the Dogpper, they can have their very own burger-flavored snack and dine alongside their humans. The crunchy Dogpper treat is reportedly a biscuit made out of beef, cheddar, eggs, oat and brown rice flour and sesame seeds that tastes like a pet-friendly version of the Whopper. However, Burger King notes that the dog bone is not for human consumption, and there is one other catch: Pet owners won’t be able to buy the dog treat by going through the drive-thru or stopping by the chain in person. According to Burger King, the Dogpper is only available when customers order through the DoorDash app. The good news is that it’s free with the purchase of a human Whopper. So, when you’re hungry for a burger, you can treat your dog to one as well. 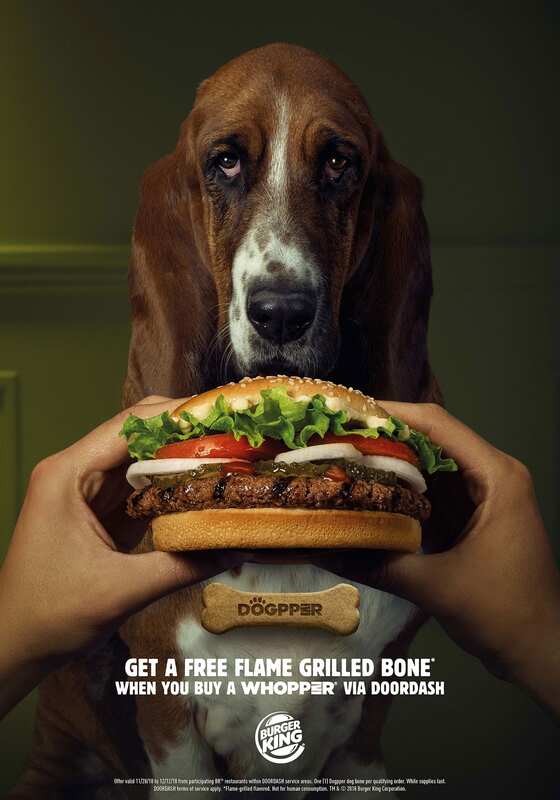 The Dogpper isn’t the only recent Burger King promotion that’s making headlines. In an effort to promote its app, the company offered 1-cent Whoppers to people using the app within 600 feet of a McDonald’s. What will the company think of next?